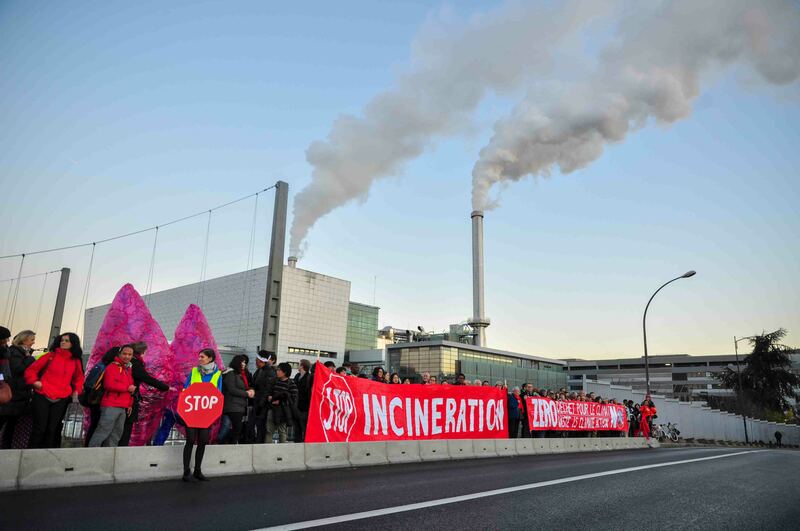 On Wednesday 9 December, members of the GAIA (Global Alliance for Incineration Alternatives), Collectif 3R, Zero Waste France, and Zero Waste Europe, gathered outside the Ivry Incinerator in Paris to demonstrate their opposition to the proposed redevelopment of the project. Carrying giant inflatable lungs, a ‘red line’ was put forward on the Victor Hugo Bridge in Ivry, Paris. The agency responsible for waste management in Paris, Syctom has put forward plans for redevelopment of the incinerator at a cost of €2 billion which would lock the city of Paris into a 23 year contract of burning waste, effectively presenting an obstacle to zero waste solutions, such as reductions in waste production and significant increases in recycling rates in Paris. The redevelopment plan of Syctom has been challenged by Collectif 3R and Zero Waste France in their ‘Plan B’OM’ which lays out how to move towards a zero waste future at a far lower cost of only €200 million. Anne Connan from Collectif 3R said: “This action comes only 2 days after GAIA members publically challenged Syctom officials on their ‘greenwashing’ of the incineration industry at a COP21 side event at Le Bourget, Paris. 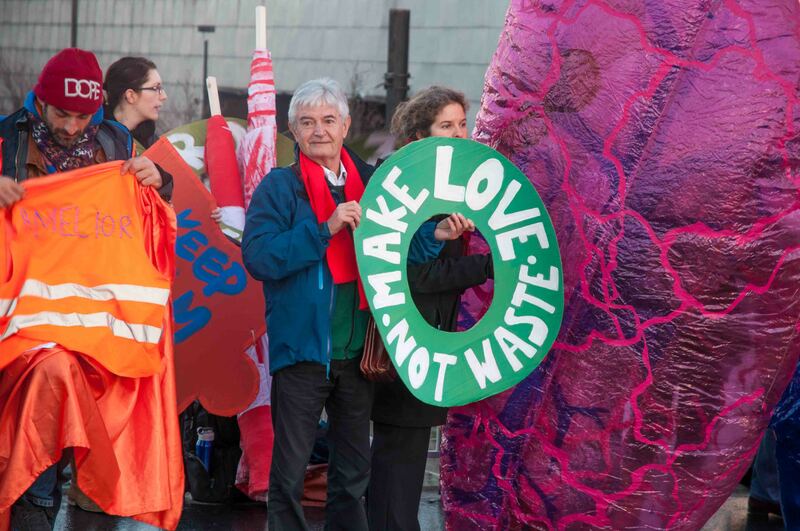 We need real alternatives to incineration, which promote recycling, reuse and waste reduction” you can read more about this action in our blog released during the COP21 climate summit. The challenge to the promotion of bioplastics developed from Carbon Capture Systems, resulted in a significant proportion of the audience walking-out of the event.